Happy (almost) Valentines’ Day! Barry from @MyVirginKitchen challenged me to a #deleBAKE, and THIS is my video answer! 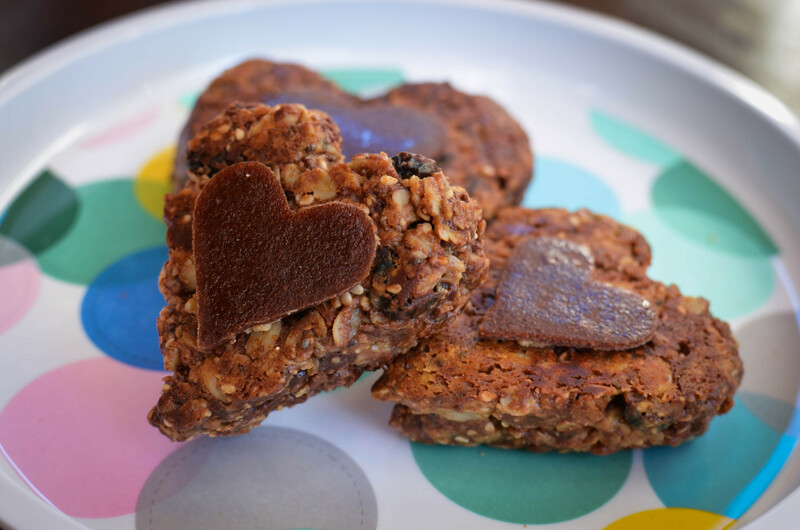 Not only is the recipe baked, but it’s also healthy, super yummy, and perfect for Valentine’s Day! 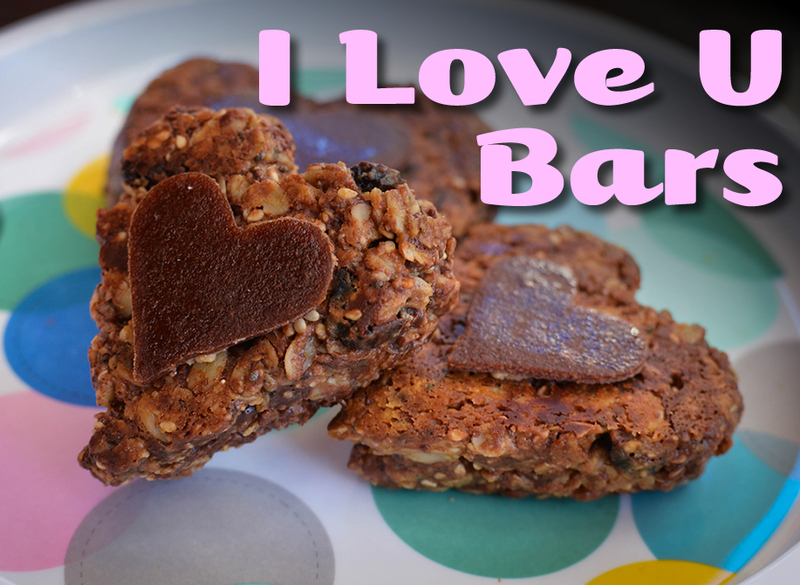 This is a yummy granola bar full of healthy ingredients that you can keep in the fridge or freezer and grab one to go! It’s a great snack to take to school, too. These granola bars disappear quickly at our house. I hope you like them too! Combine oats, raisins, cranberries, sesame seeds, flax seeds, cinnamon, salt, chia seeds, and chocolate chunks in a large bowl. After allowing it to cool a bit, pour the peanut butter goo into the large bowl and mix well so that all of the oats, fruit, and seeds are coated with the goo. Lay some parchment paper on a cookie sheet. Place some of the dough inside a large heart-shaped cookie cutter and using a small spoon, press down to pack the dough in tightly in the cookie cutter. While pressing down on the dough, carefully remove the cookie cutter, leaving a heart-shaped dough. Use the spoon to pat down any edge that is sticking out. Bake in the preheated oven at 350F degrees for 15 minutes. Refrigerate until hard, about 30 minutes. With the smaller heart-shaped cookie cutter, cut out heart shapes from red fruit leather. You can keep it frozen, or in the refrigerator. They are great for Valentine's Day parties, and for school snacks! Enjoy!